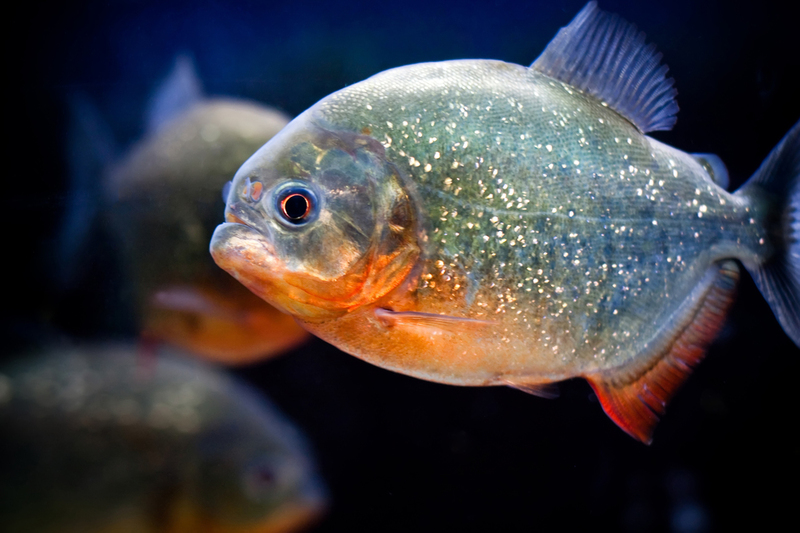 Opening to the public on 24th March 2018, just in time for the Easter holidays, Rainforest Adventure brings the UK's largest population of piranhas to SEA LIFE London. You can also see thousands of the Amazon's most amazing creatures including crocodiles, poison dart frogs, snapping and pig nosed turtles, the world's largest species of spider as well as more than 300 carnivorous fish. Get closer to cockroaches and more creepy crawlies in interactive displays that allow 360 degree views of jungle inhabitants. Your Amazonian adventure begins in the Rainforest Ranger's hut, with TV adventurer Andy Torbet (BBC's The One Show, Coast) as your virtual guide. What are the best dining options near Rainforest Adventure: SEA LIFE London London? Rainforest Adventure: SEA LIFE London gyms, sporting activities, health & beauty and fitness. The best pubs near London Rainforest Adventure: SEA LIFE London. Rainforest Adventure: SEA LIFE London clubs, bars, cabaret nights, casinos and interesting nightlife. Where to have your meeting, conference, exhibition, private dining or training course near Rainforest Adventure: SEA LIFE London. From cheap budget accommodation to luxury 5 star suites see our special offers for Sea Life London Aquarium hotels, including Park Plaza Westminster Bridge Hotel London from 83% off.